The Third Option is a plea on behalf of a brokenhearted God who, scripture teaches, is frustrated with those of us who claim to believe in him but are really “faking the faith”. McPherson argues that we must rise above the issues that divide us and be part of something bigger. The Third Option challenges both believers and seekers to fully embrace God’s goodness and power. 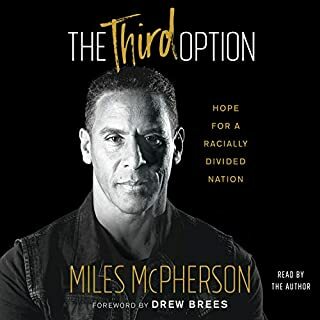 McPherson believes that instead of choosing one of two sides, there is a third option - one that’s proven to bring people together, mend relationships, and promote genuine peace in communities. A must read! Definitely a step in the right direction. A book we should all read! Books like this are what we need now more than ever. Very powerful! Miles is amazing.